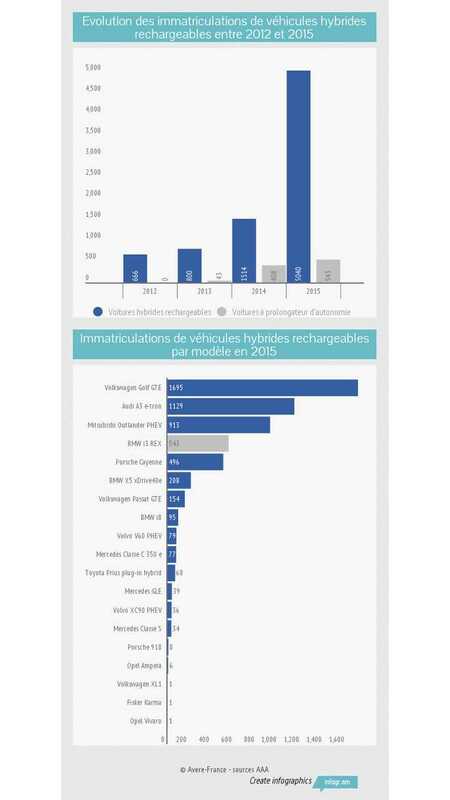 With a small delay compared to all-electric car sales results, France has released numbers for plug-in hybrids. Sales of PHEVs are growing quickly from 1,922 in 2014 to 5,583 last year (up 190%), but of course are far behind the 17,268 all-electric passenger cars sold with an additional 4,919 light commercial battery electric vehicles. If we add all new registrations, we see 27,770 plug-in electric cars sold in 2015. Compared to over 2.294 million cars, that's 1.21% market share for plug-ins. The most important reasons for higher BEV sales are higher incentives, as well as the position of BEV-only Renault in its home market. 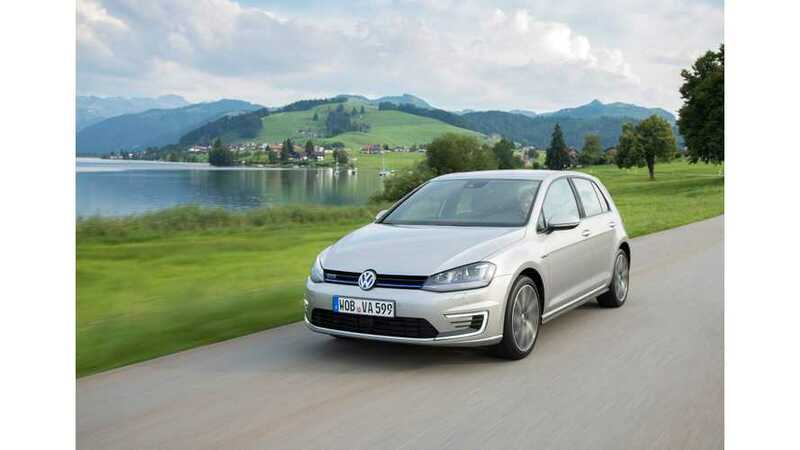 The best selling PHEV in France was the Volkswagen Golf GTE (1,695), followed by the Audi A3 e-tron (1,129) and the Mitsubishi Outlander PHEV (913).